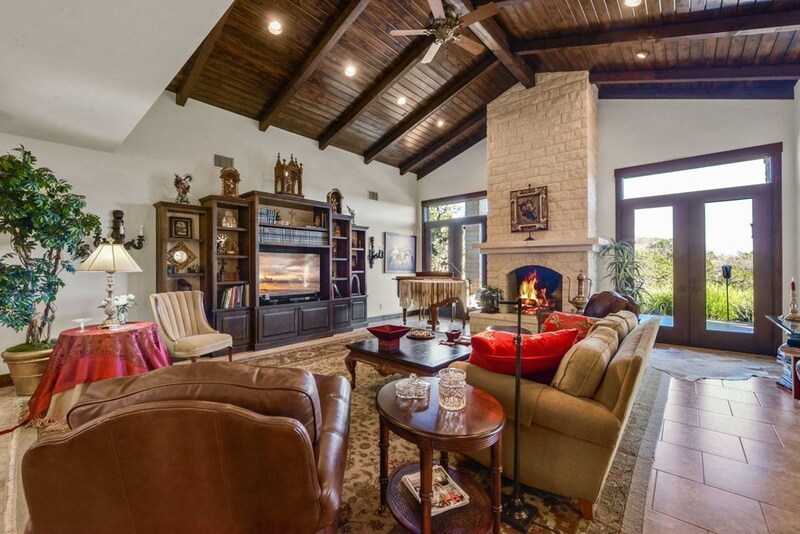 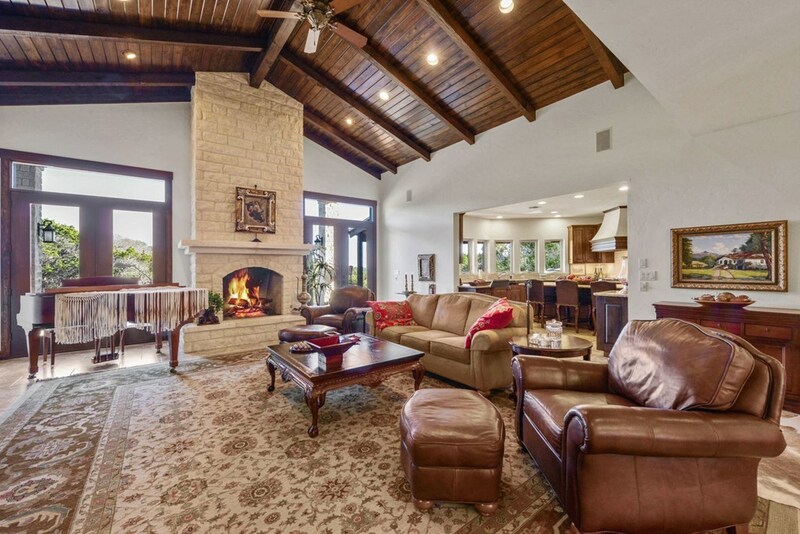 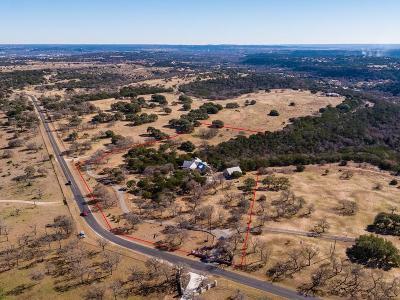 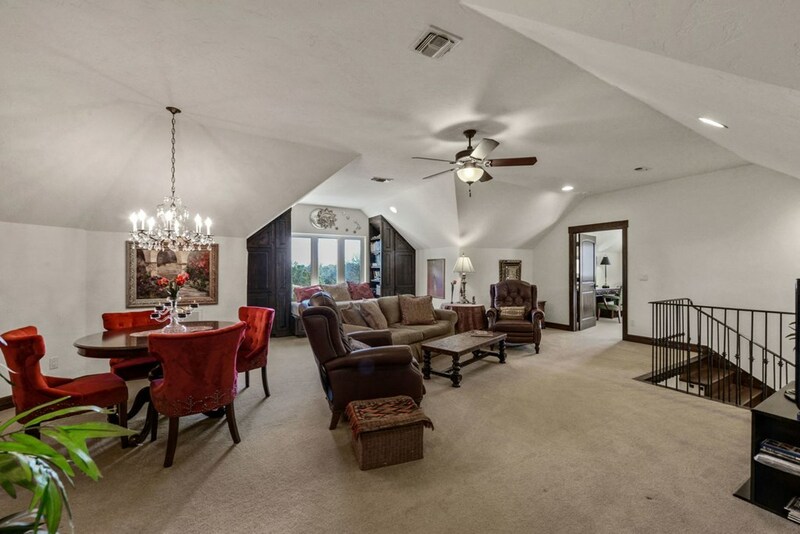 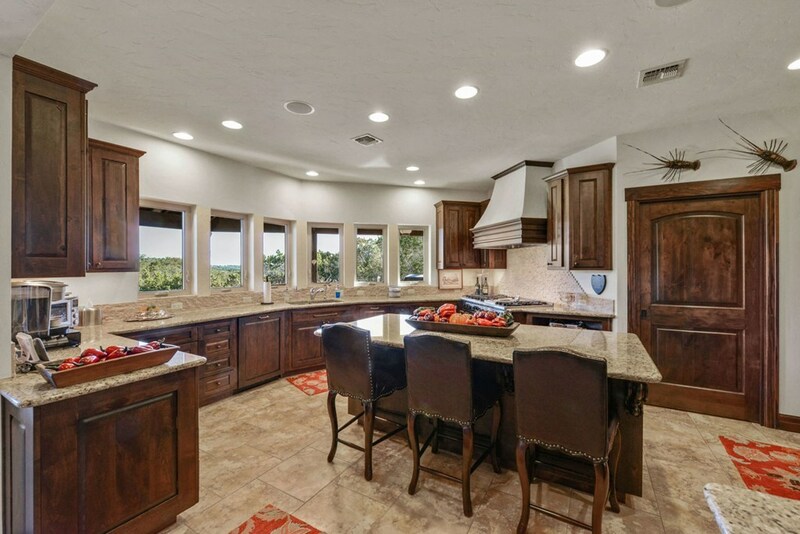 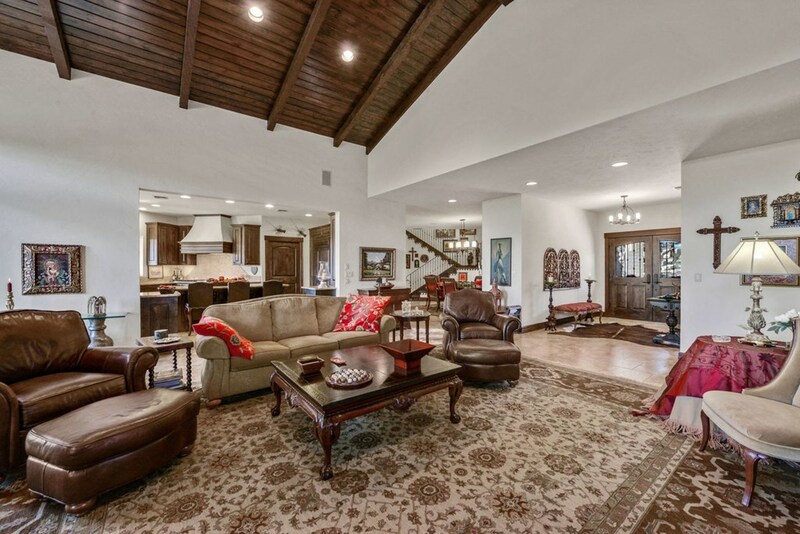 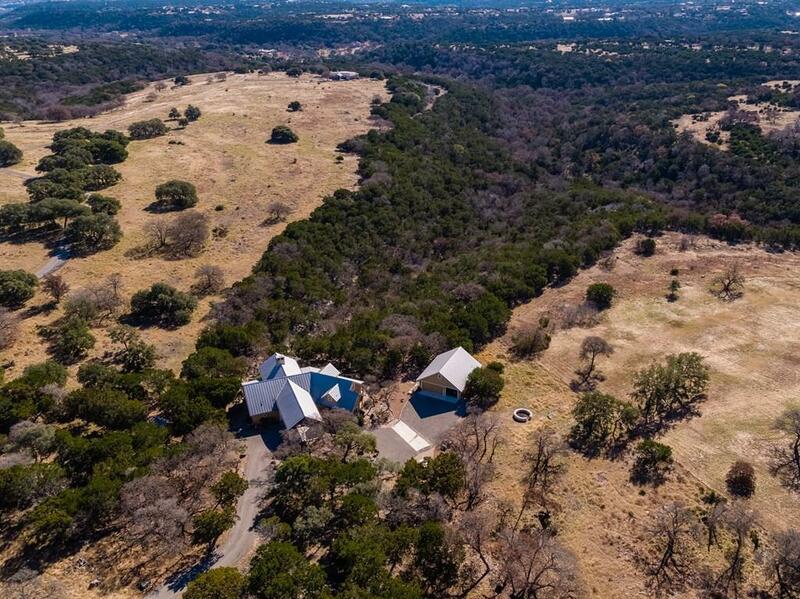 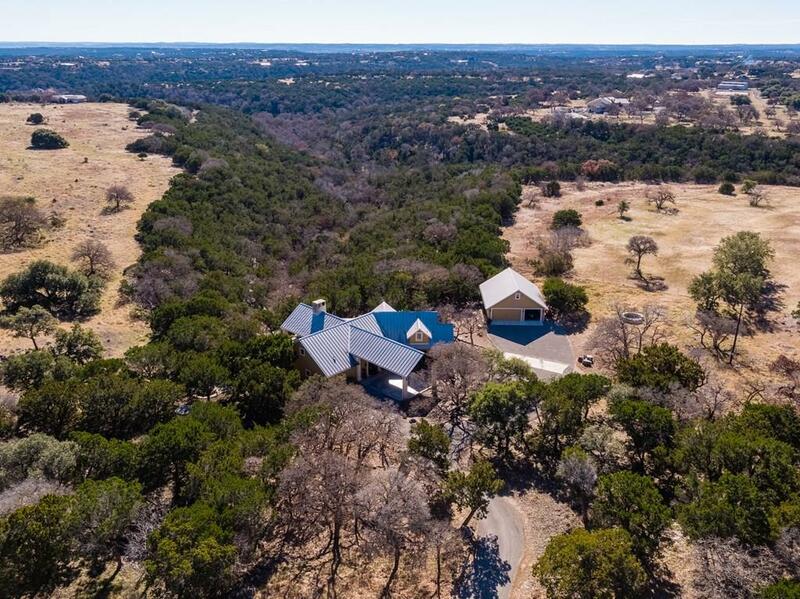 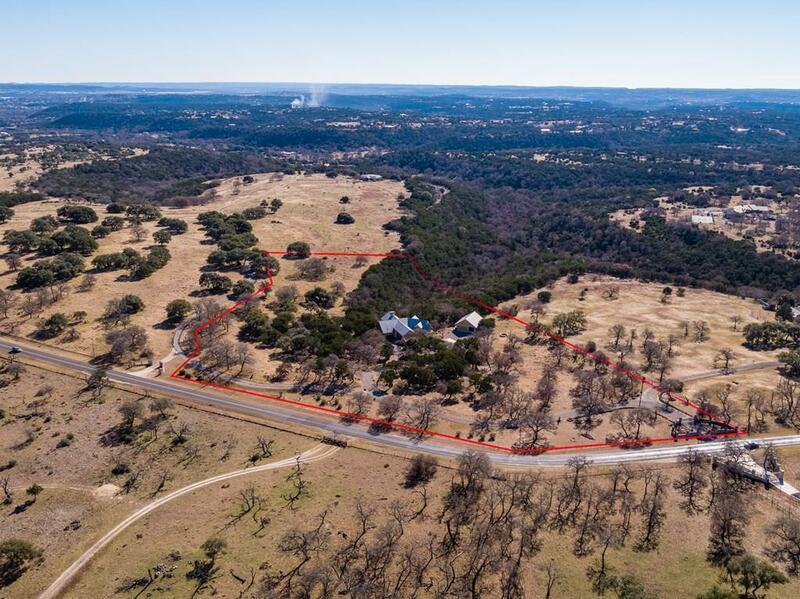 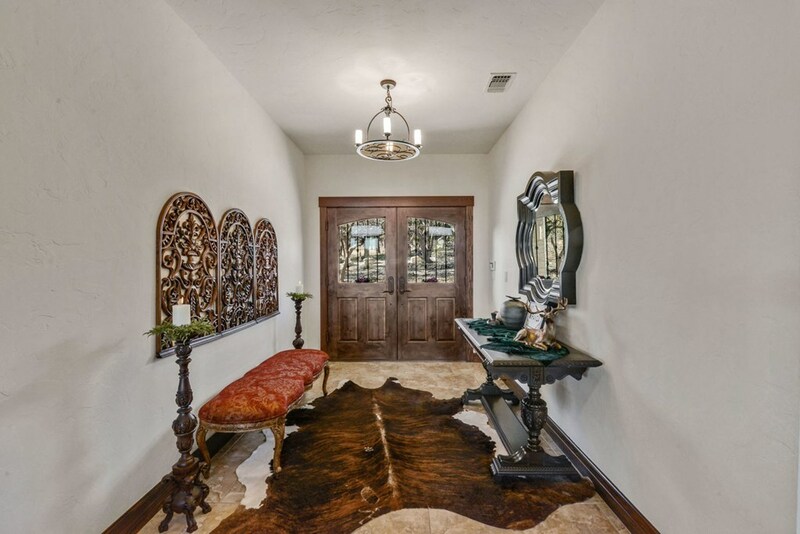 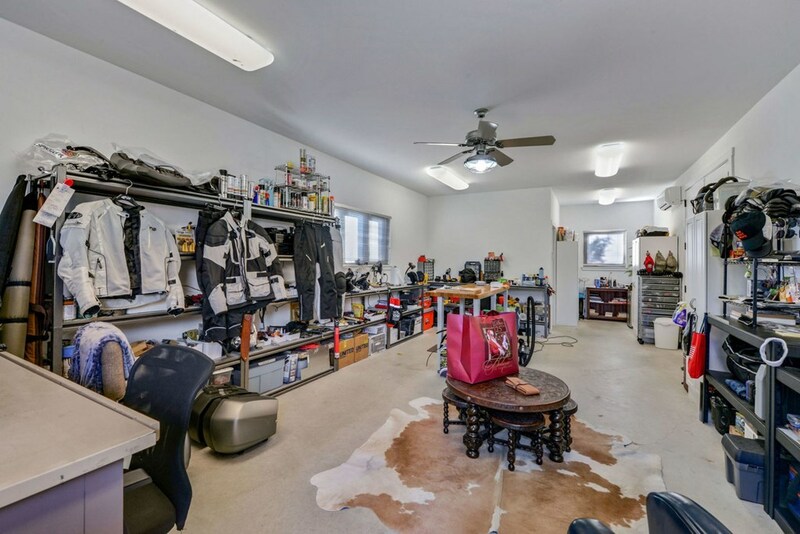 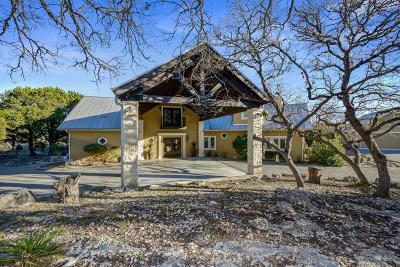 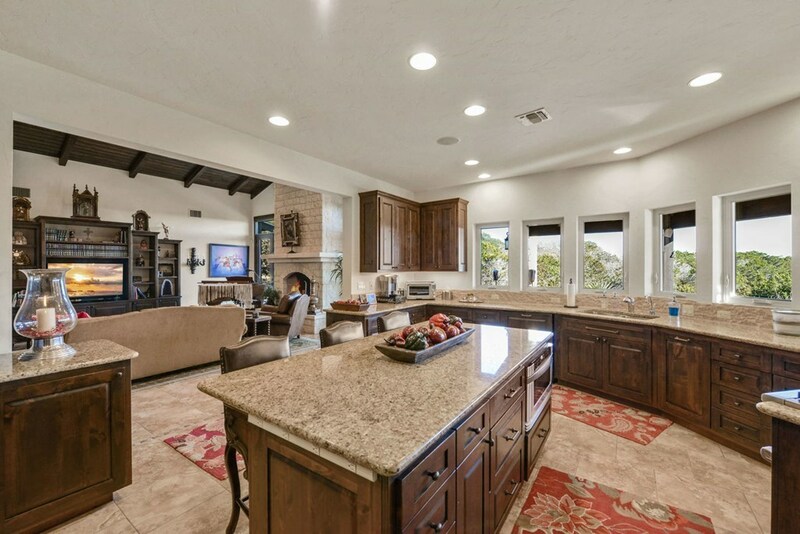 Homes interior is Hill Country comfortable w/touches -limestone walls & fireplace, porcelain tile floors, outdoor kitchen, fountain & hot tub making it a Texas original. 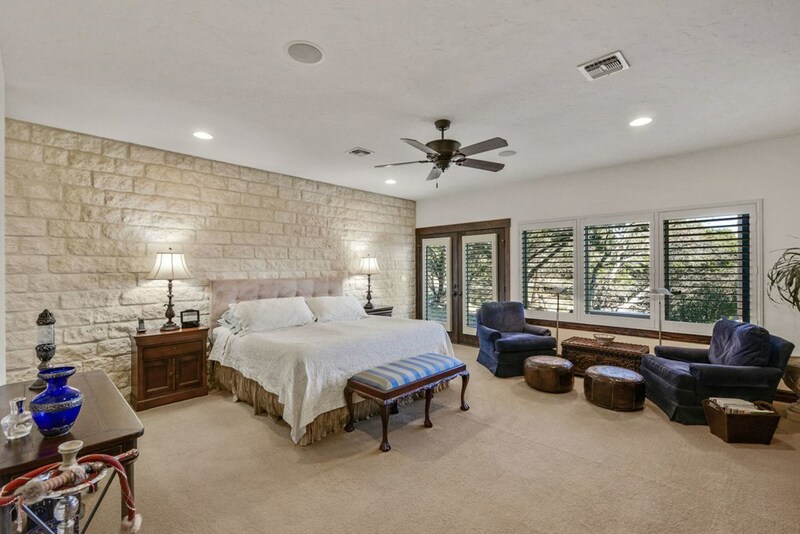 Oversized windows ensure the space is light-drenched & welcoming. 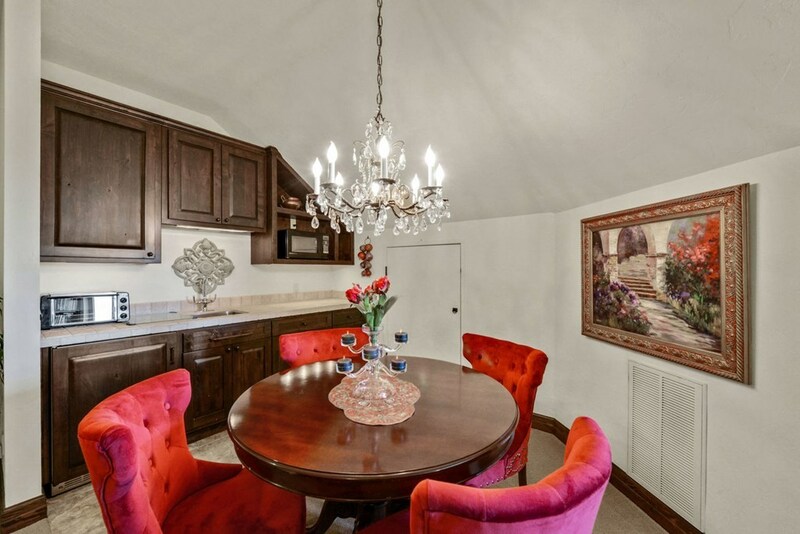 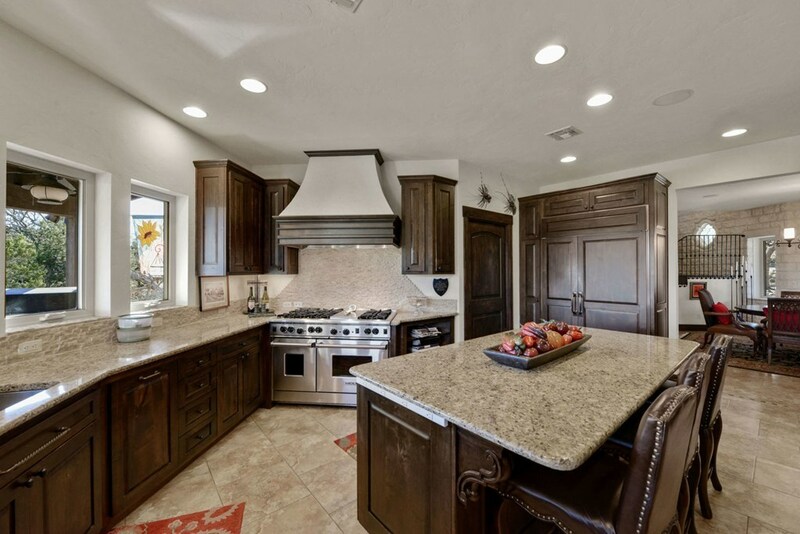 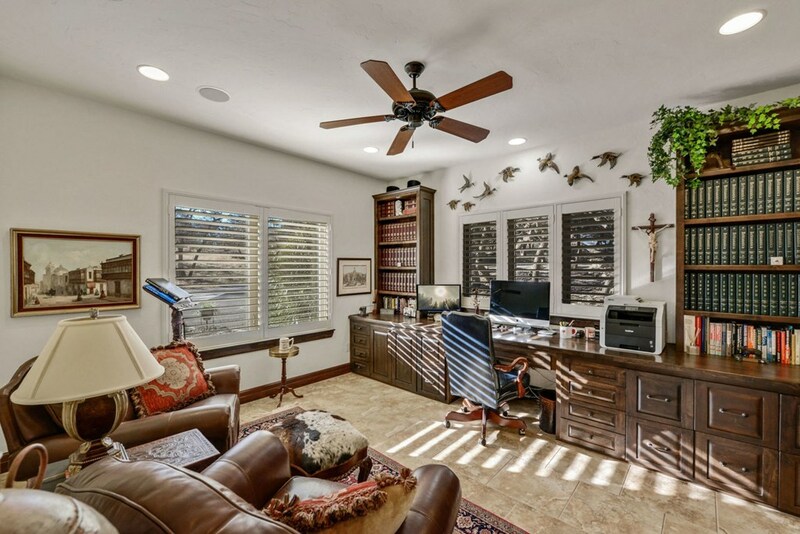 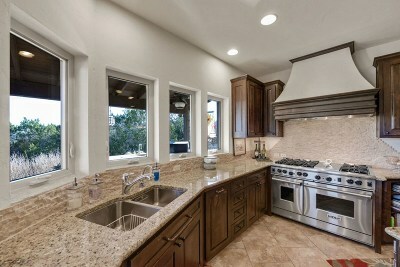 Kitchen granite counters are offset by soaring ceilings, open design & knotty alder cabinets. 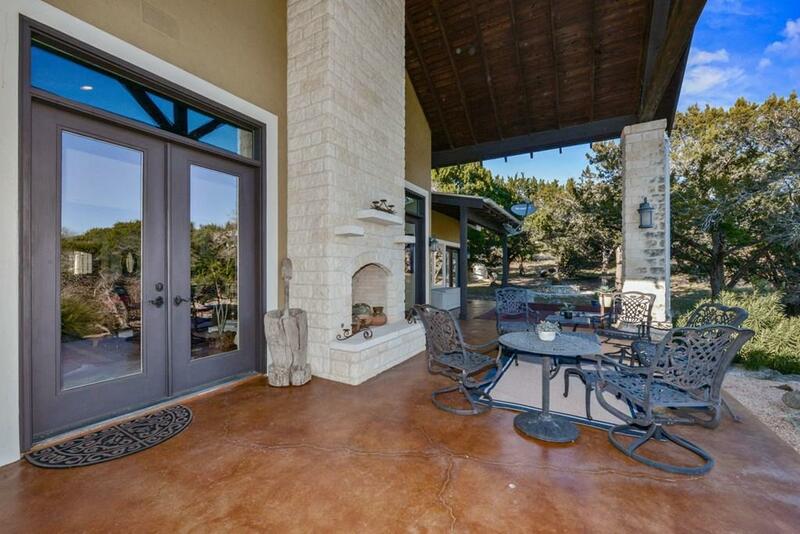 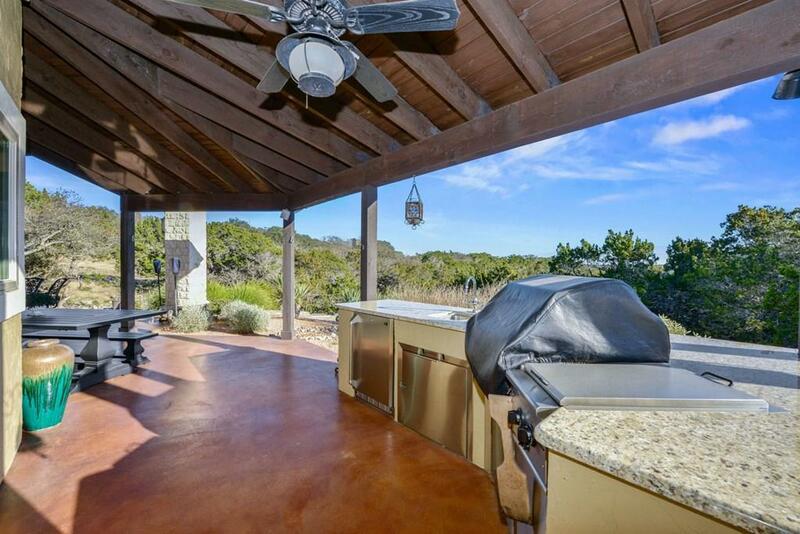 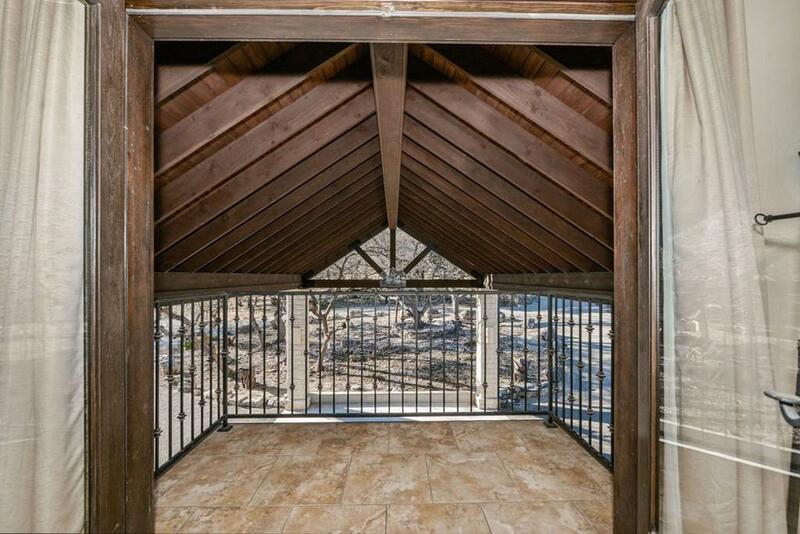 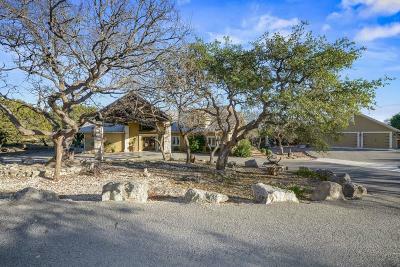 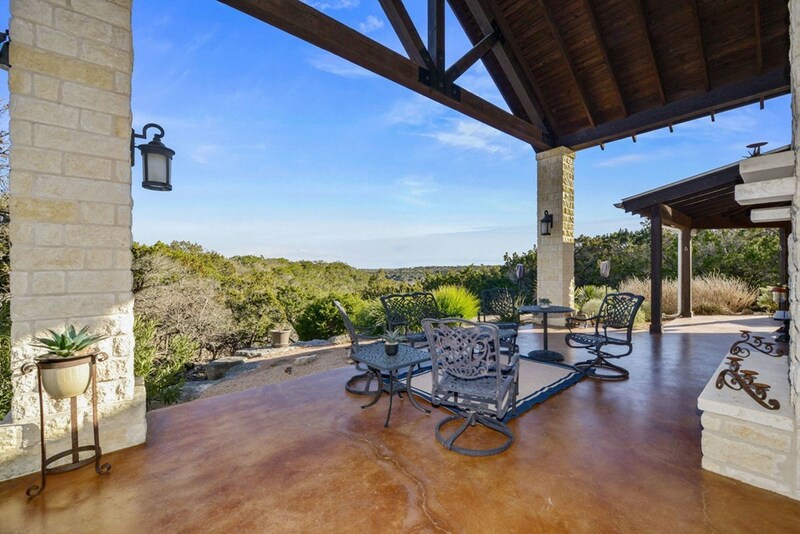 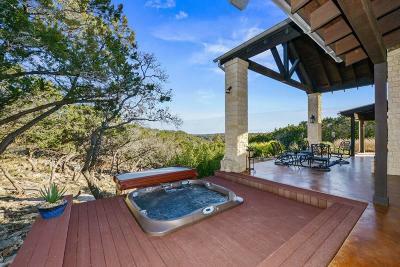 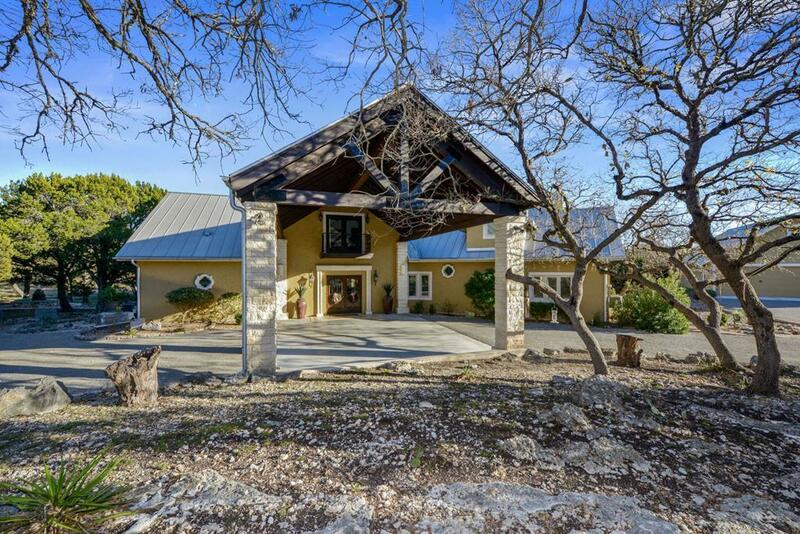 The back patio encompasses the length of the house & overlooks the beauty of the hills and valleys in Kerrville. 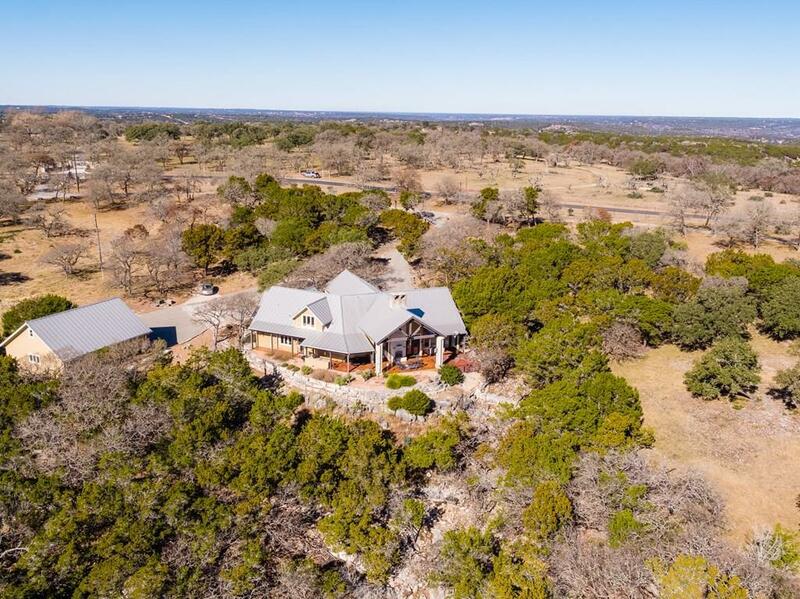 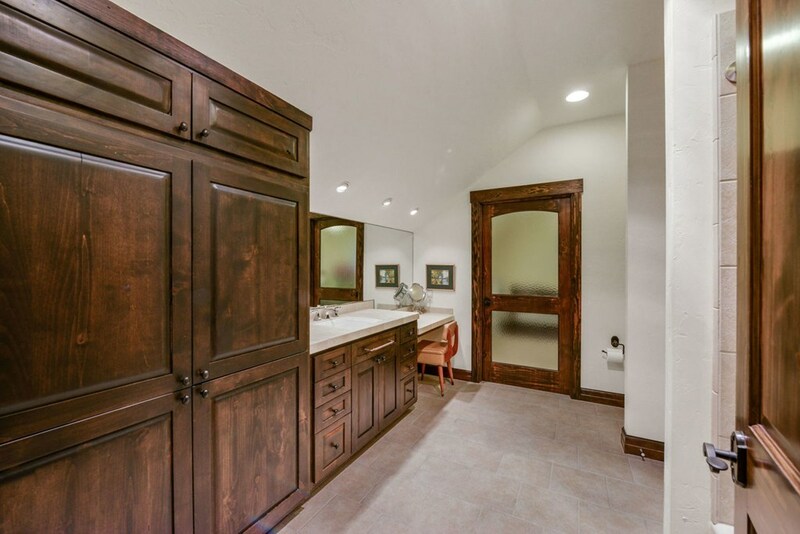 The rustic elegance is highlighted w/hardwood living room ceiling, formal dining, craft/sewing room, office w/shelving, storage, detached garage w/workshop with its own tankless hot water heater. 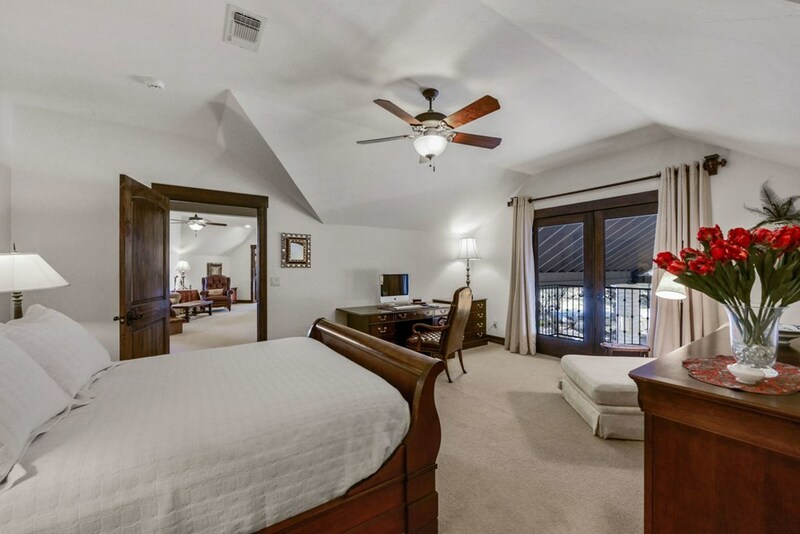 Upstairs is set for family/guests with en suites off bedrooms, separate great room & kitchenette. 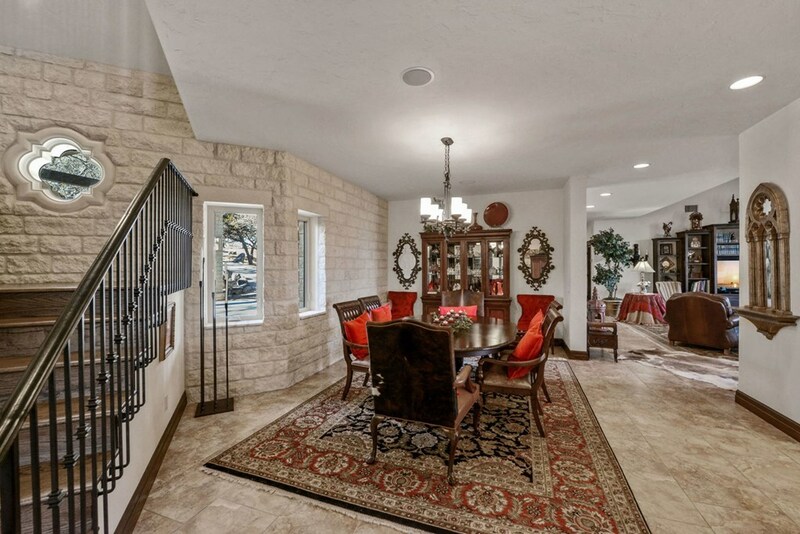 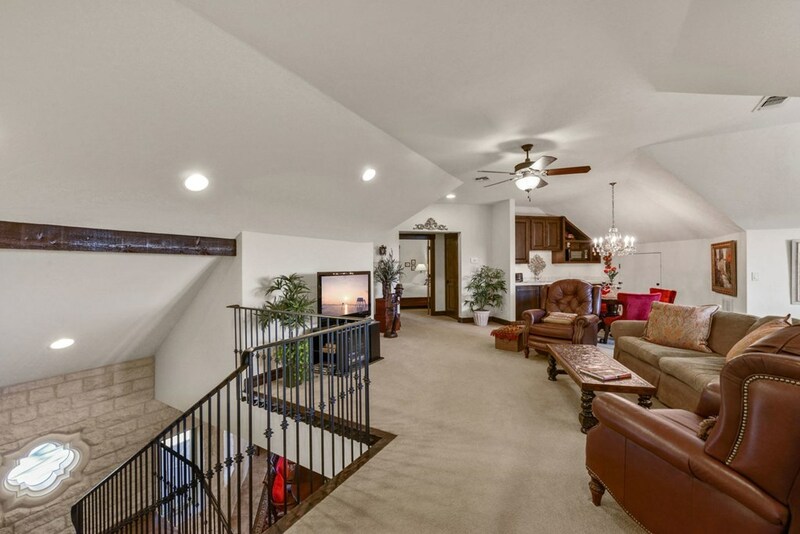 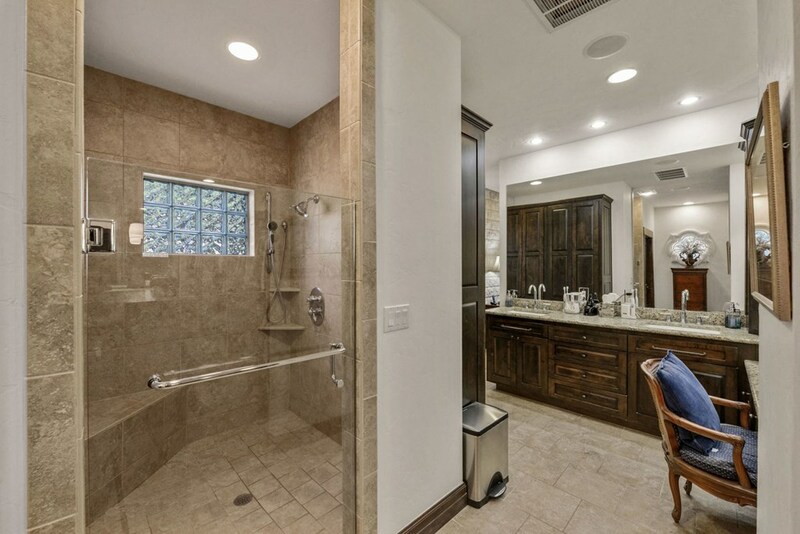 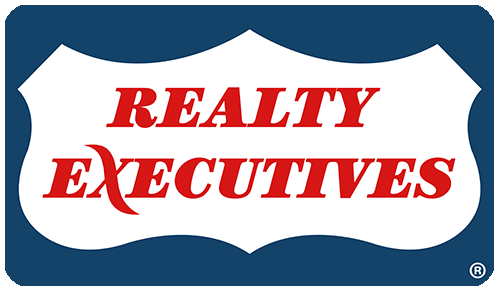 Enjoy the homes magnificence w/out effort  turnkey ready.